It doesn’t matter when you graduate – you should begin building your personal brand now! There are plenty of free online marketing tools that small business owners use that you can also use to build your personal brand. These tools will help you establish yourself before graduation and ensure your success in the long run. 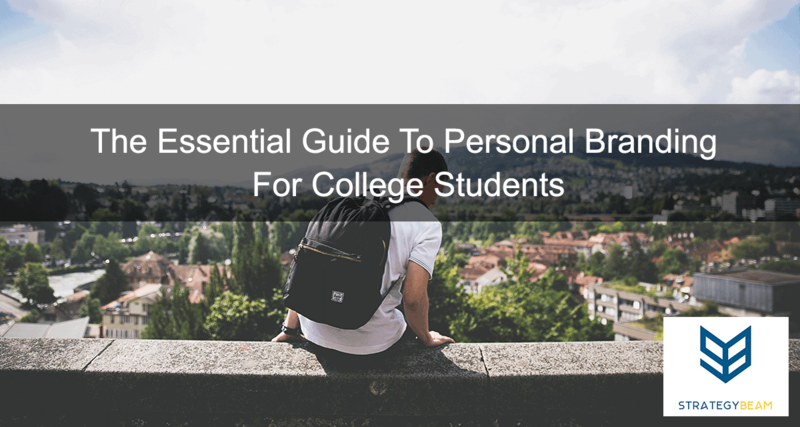 If you wait until after graduation to build your personal brand, you will be under more pressure as you build the brand while also applying for jobs or setting up your own business. Trust me, I waited until after graduation and I don’t want you to go through the same stress that I had to deal with! That is why I want to cover some of the basics of a personal brand. Personal brand statements can seem overwhelming, but in reality, it is pretty simple. I recommend taking one of the samples and filling in the details with experiences that are relevant to you. Don’t hype this up too much in your head. Your personal brand statement doesn’t have to be perfect. It is going to change as your experiences and interests evolve. Just focus on making it as concise and as accurate as you can. You should approach your personal brand statement as though you are a freelance copywriter who is trying to land more jobs… since you pretty much are as you join the job market. Building your online reputation will carry you toward success. Here are some specific ways to begin marketing your name online and create a powerful brand for yourself! Claim your name as domain name. You can do this by going to 1and1.com, and for about $15/year you can have your own domain name. I suggest sticking with the .com to begin with. Pro Tip: Use your full name, but if that is not available then just use your nickname and last name. Begin blogging about your area of interest on your new domain. Treat your blog like a business blog, and follow the proper tips and tricks to create a trustworthy and credible blog. Pro Tip: You can either get a self-hosted domain through DreamHost. If you are looking for less expensive, then you can setup a free blog at WordPress.com or another blogging platform like Tumblr, Medium, etc. Begin building a solid resume that highlights your unique skills and experience. Update your LinkedIn profile to include all relevant experience, skills, leadership roles, etc. Think of your LinkedIn profile like your online resume. This can take some time, so look at plenty of examples and use a template that sticks out. Attend Meetups and other gatherings that are relevant to your interests. Start networking with people in your industry. Intern and volunteer for local industry leaders. This will expose you to the daily operations of the industry and help you align yourself for success with great contacts. A picture is worth a thousand words, so it is important that your personal brand has a strong professional headshot. Get a professional headshot of yourself. These photos don’t have to be super fancy. You can go to a J.C. Penny’s or another photo center if you are in a pinch. Take several shots wearing different shirts and suit coats. Take a few with a business casual look, and a few with a professional feel. Use this photo across all your social media accounts. This will make your brand consistent and help people identify who you are at a glance. Consistency is the name of the game, so use a headshot you are happy with and stick with it. You can always change this as the time comes, but be sure to make the change on all your accounts and platforms! Social media can be a great way for you to network, show off your knowledge, and get in contact with leaders. Become a thought leader in your industry by utilizing Twitter and LinkedIn. Take part in conversations, follow the right people, and begin engaging with your industry to show off your knowledge and skill! Update your LinkedIn profile. Spend 15 minutes a day creating great descriptions for your past experience, skills, clubs, etc. Begin using Twitter to grow your influence. Once you know what industry you want to enter, begin researching, writing, and posting information about that topic. Twitter is a great place to find information and showcase your expertise. Gather testimonials from people in your industry that highlights your trustworthiness, energy, and skills. Also, have people write recommendations for you on LinkedIn. These show you’re telling the truth and boost your street cred. Make sure you have over 500 connections on LinkedIn. That little 500+ number means a lot to recruiters and potential business partners/clients. Work on getting over 1,000 followers on Twitter. This is not that tough, and with some effort, you can do that within a month. Join interesting and relevant groups on LinkedIn, and begin interacting. You will learn a lot about your industry, plus who knows where your connections can lead! Begin answering questions and providing advice on question/answer boards like Quora. If Quora is not relevant, then find a platform where you can help out the community and show your knowledge. Clean up images and other posts on your social accounts. Check out this article for more information on how to clean up your social media to enhance your personal brand. Identify any gaps in your experience or knowledge (Step #2) and begin filling those gaps by showcasing yourself in your community. What suggestions do you have to improve undergraduate personal branding? Let me know in the comments below!